Laville Haut-Brion is arguably the greatest dry white wine in Bordeaux. Only 1,000 cases per year are produced from a tiny and exclusive 3.7 hectare vineyard with an average vine age of over 50 years. It is a blend of 70% Sémillon and 30% Sauvignon Blanc - the grapes are barrel-fermented and the wine is matured in 100% new oak barriques for 15-18 months before being bottled. Aromatically complex on the nose and almost lusciously rich on the palate, with strong mineral overtones, and with a finish to die for. The wine demands extended cellaring and should rarely be approached before its 10th birthday. 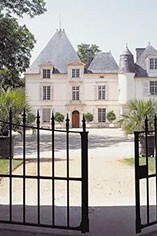 Laville-Haut-Brion is classified as a Graves Cru Classé.